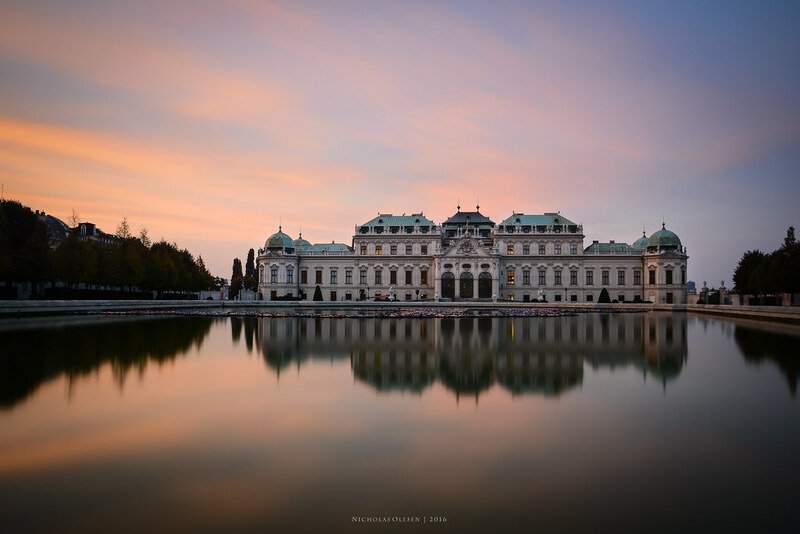 I was in Vienna for the weekend, and chose the Belvedere for my sunset and blue hour shooting location. 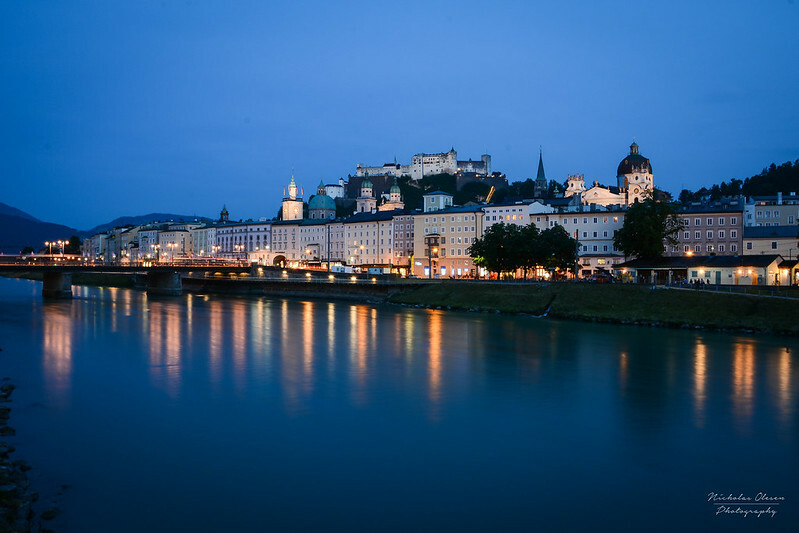 I was hoping to get a shot of the Belvedere lit up reflecting in the water in front, with a beautiful blue hour sky behind. In the end, there was a thin misty layer of cloud which meant that the sky was mostly grey and there wasn’t much of a blue hour! Luckily the thin wisps of mist caught the pink light as the sun went down, so I got this 2 minute long exposure shot and didn’t waste my time completely!